for the lighting, components and technologies ‘LED Expo 2018’ will return for its grand 19th edition from 6th December 8th December at the India Exposition Mart Limited, Greater Noida. The Expo is Organised by Messe Frankfurt Trade Fairs Pvt Limited . The show has 325 exhibitors from countries like India, China, Finland, Japan, Hong kong, Italy, Korea and Taiwan. The inauguration of fair was conducted in a traditional manner by lighting the lamp, during this V. Sreedhar, Sr Vice President, BSES Rajdhani Power Ltd, Abhay Sinha, President (Ex-Director General CPWD), Indian Building Congress, Gautam Malkhani, Managing Director, Fulham, Ankur Gupta, Managing Director, Sigma Lighting, Vikas Bali, Sales Director – South Asia, OSRAM Semi Conductor remained present. The show will display a gamut of solutions from various companies and among many exhibitors; some key players showcasing LED technologies include Juki India Pvt Limited. 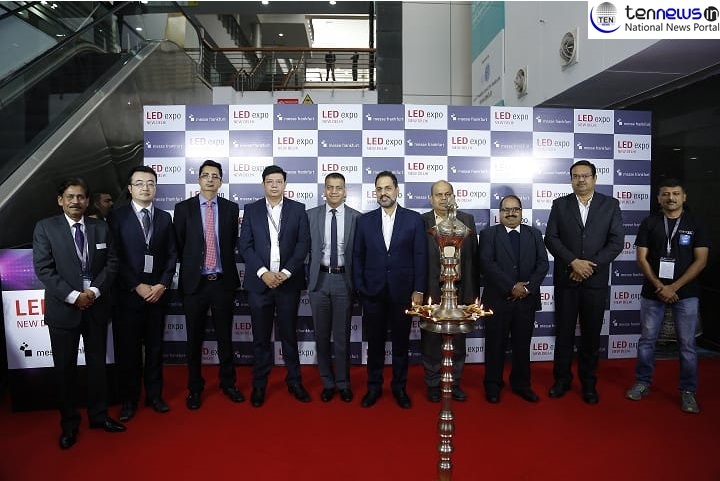 19TH edition of LED Expo 2018 is backed with strong government bodies a leading lighting infrastructure association. The manufacturing of LED products in the country increased from 2,172 crore in 2014 – 2015 to 9,630 crore in 2017 and 2018 showcasing four time rise in total production. LED lamp and luminaries demonstrate the strongest growth trend among all the lighting technologies.